Software architecture is a fast-moving, multidisciplinary subject where entire suites of "best practices" become obsolete practically overnight. No single path or curriculum exists, and different types of architecture—application, integration, enterprise—require different subject emphasis. Whether you're at the outset of a career as an architect or in the midst of such a career, series editor Neal Ford has curated this collection of tools and guides for aspiring and seasoned architects alike. Neal Ford is Director, Software Architect, and Meme Wrangler at ThoughtWorks, a global IT consultancy with an exclusive focus on end-to-end software development and delivery. 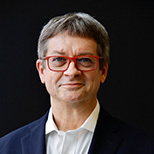 He is also the designer and developer of applications, magazine articles, video/DVD presentations, and author and/or editor of eight books spanning a variety of subjects and technologies, including the most recent Presentation Patterns and Functional Thinking. He focuses on designing and building of large-scale enterprise applications. He is also an internationally acclaimed speaker, speaking at over 300 developer conferences worldwide, delivering more than 2000 presentations. Check out his web site at nealford.com. He welcomes feedback and can be reached at nford@thoughtworks.com. 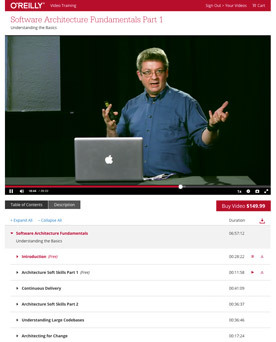 Whether you’re new to the software architecture game, find yourself in it accidentally, or want to master its ever-changing landscape, this collection of video training will provide you with a rich variety of topics, deep dives, innovative thinking, practical tips, and unfettered access to expert know-how that you can put into practice right away. Series editor Neal Ford has curated this collection of tools and guides for aspiring and seasoned architects alike. When it comes to software architecture—whether you’re new to the game, find yourself in it accidentally, or want to master its ever-changing landscape—Ford understands the heart of the matter like no other.